When the weather turns chilly, it’s essential to have the right clothes to keep you and the ones you love nice and snug. And that means having a collection of beautiful, cosy and soft winter jumpers. But what makes a great winter jumper, and what brands and styles are going to be hot in 2018? At Zalando Lounge, we’ve sifted through this year’s best designs and tried them on for size, so we know what’s going to keep you warm and looks hot when the snow starts to fall. So, what makes the perfect winter jumpers so comfortable? Well, firstly they are made from high-quality materials that insulate the body as efficiently as possible. Generally, the best winter jumpers are made of wool, which keeps heat close to the body. But there are several types of wool and each has its own properties. Merino, cashmere and angora are all high-end varieties that offer luxurious softness but often come with a steeper price tag. Sheep’s wool is coarser but often more robust, and the rustic look it produces can be really effective. Hugo and Pepe Jeans make some great cashmere designs while Gap, Banana Republic and J. Crew are all known for their tight-fitting women’s merino wool garments. 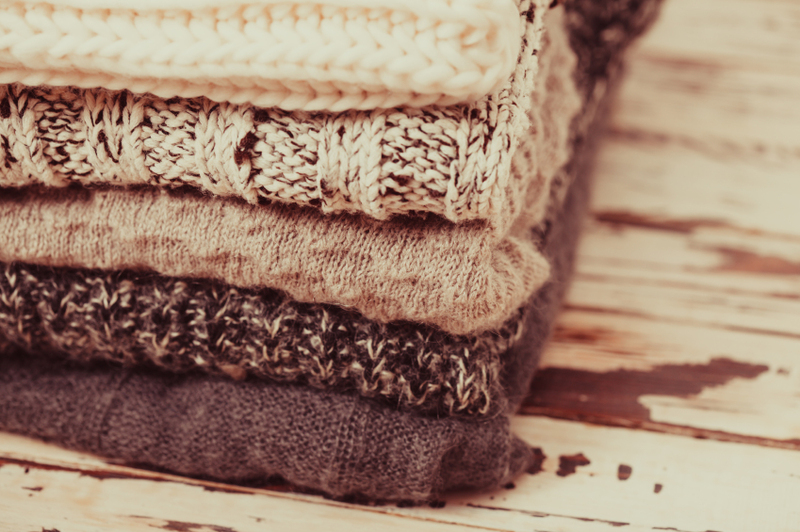 Along with materials, winter jumpers come in a wide range of different forms. Some have thick buttoned collars which can be opened indoors and can be gathered tightly around your neck when you head outside. Others have turtlenecks which cover the whole neck (and work really well in women’s professional outfits), while most come with conventional v-neck or round-neck collars. Fits can be loose or tight, depending on the kind of look you’re going for, and – of course – the prints and weave of winter jumpers variy massively, which we’ll get into in a moment. The key thing to remember is that there are jumpers for all situations, from heavy duty Scandinavian versions that can handle blizzards, to versions that are fine for mild weather and for wearing to work as well. There are plenty of different types to choose from, but what are the hottest winter jumpers and sweaters for 2018? Let’s start with womenswear. Firstly, exercise fans will want to have a look at fleece jumpers from brands like Even&Odd, which mix dashing cuts with materials designed to make cool-weather running easy. Relaxed, vibrantly toned jumpers with a baggy fit are also hot this year, with some colourful options in the New Look collection that will work pretty much all year-round. And there are also some imaginative designs from Paul Smith which feature pop art elements – another key trend of 2018. Don’t forget cardigans, either. Button-up woollen cardigans are often the ideal compromise when moving between warm rooms and cold outdoor conditions. As for guys, well, there’s no shortage of winter jumpers to choose from. Pier One are leading the way with their attractively woven wool jumpers which have a figure-hugging fit – perfect for athletic guys who want to show off their winter gym work. Hoodies are also worth considering, with some great designs from labels like Levi’s and Jack & Jones, and tracksuit tops from Damir Doma offer flexibility and urban style in equal measure. Whether you’re shopping for a smart-casual cashmere jumper or a women’s cardigan, Zalando Lounge is the perfect place to stock up on winter jumpers. Create an account and you’ll be able to snap up designer jumpers from the world’s hottest labels at out of this world prices.